Commercial boilers are extremely advanced heating systems and yet, issues can still occur from time to time. 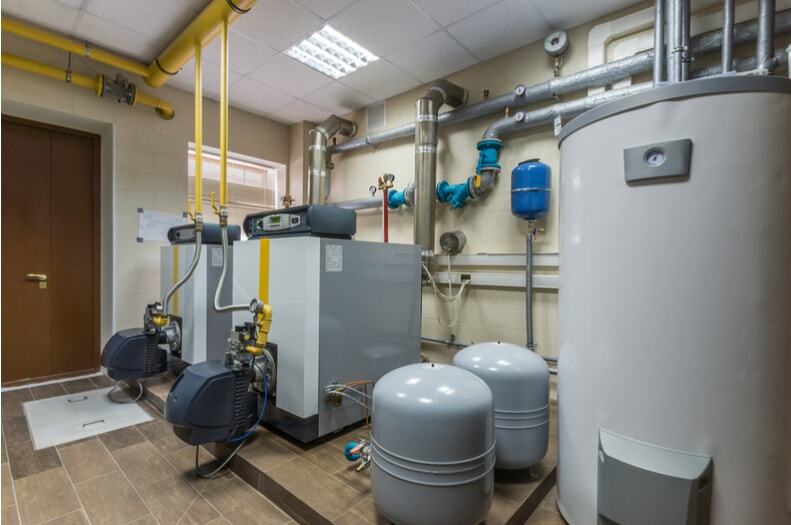 In order to know when you may require the assistance of commercial gas services, it is a good idea to highlight a handful of common problems. Commercial boilers are not able to function properly if the internal pressure is too low. This could be caused by a leak within the system or as the result of a faulty valve. If no visible leak can be detected or if there is no apparent damage, it is best to consult with a professional. There can be times when you notice that a specific portion of the boiler is not heating up properly. Often referred to as “cold patches”, this situation can result from an accumulation of sludge within the system or air that should not be present. There may be times when “bleeding” the unit will resolve the issue. If this does not help, the chances are that the issue is found within the lower portion of the tank. Once again, it is important to consult with commercial gas services in order to correctly diagnose the issue. Boilers can sometimes emit strange sounds such as gurgling or bubbling. Broken pumps or air that has become trapped within the circulation system are two common causes. These might be nothing serious or they could signal a more advanced problem such as an accumulation of limescale (mineral deposits from water). As these noises will normally not go away on their own, it is prudent to consult with an expert. Pilot lights should always remain lit. If you notice that one has gone out, there could be an issue with the gas supply to your boiler. This might signal that a part known as a thermocouple needs to be replaced. It can sometimes be difficult to reignite this flame and if other gas-supplied appliances are not functioning, call a specialist as soon as possible. He or she will be able to determine if the problem is within the boiler or if additional steps need to be taken. If you would like further advice regarding commercial boiler repairs or to schedule a consultation, please contact ST Heating Services as soon as possible. We will be more than happy to assist.